I was a little surprised and intrigued when I came across this Groupon this morning. 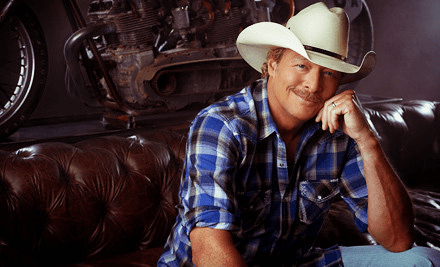 For $36 you can receive one ticket to Alan Jackson in concert at the Tsongas Center at UMass Lowell for This Friday, October 19th, 2012 at 7:30pm! I did do my due dilligence and did a quick google search, and on stub hub their actually wasn’t any seats available, and their wasn’t too many good deals on Craigslist, so it doesn’t seem like an excessive supply floating around for better deals. The cheapest tickets I found directly through tsongascenter.com is $60 (after fees). But feel free to search and leave in our comments below if you find a better deal to share with us! So y’all grab your cowboy hat and bring ’em to Lowell for a good time this Friday night! Quick Edit: Whoops, I was so excited that I forgot to mention that Groupon is an affiliate of mine, which means I get a little something for sending folks to their site. For more info, see my disclosure policy here.